Thankyou to all the Sydney-siders for supporting the recent Australian Modern launch events. 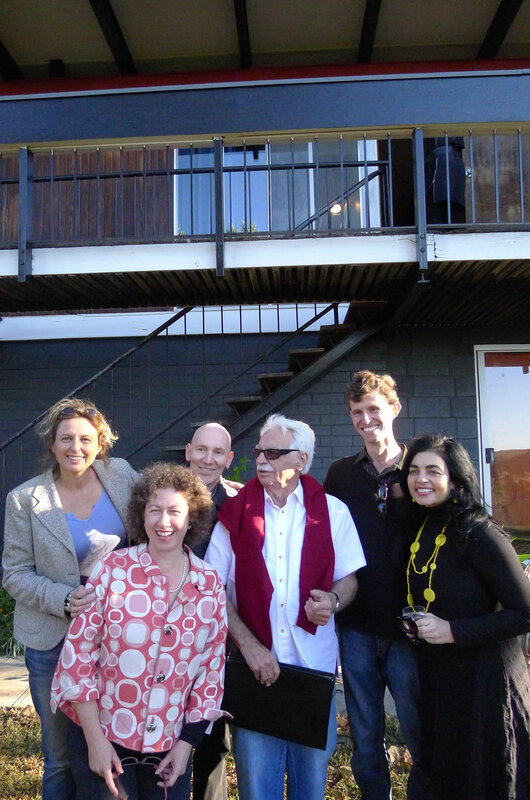 Billy and Sarah’s Beachcomber event in the Blue Mountains attracted a big crowd, and also the chance for everyone to meet the original architect Nino Sydney. Our friend Helen also launched her new website www.beachcomberhouse.com.au a must for fans of mid-century architecture. Check out the photos and history, join in the search to find the lost and missing Beachcombers. A big thankyou to Object Gallery in Surry Hills, a wonderful venue for our official Sydney launch. I was joined on the night by fellow presenters, Annalisa, Billy, Margot and Nino, along with Susan, Alex and Sarah our fabulous support team. Everyone was interested to hear the stories behind some of the articles in Australian Modern, and to meet the NSW participants. The following day I was off to Canberra on an architectural pilgrimage and the opportunity to meet with other Modernists, I was invited to meet with Laurie Virr, and Enrico Taglietti, both original architects from the era. I also visited significant homes by Robin Boyd and Roy Grounds. If you want to know more about mid-century modernist architecture in Canberra then check out the website www.canberrahouse.com.au a fabulous resource operated by friend Martin Miles.